We are sorry, this item is only available as part of the "Elite" Edition of our Open Enigma product line. 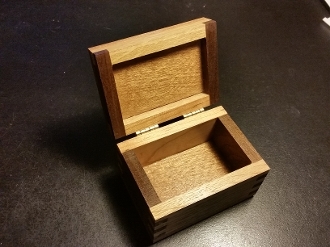 This unique box assembled by hand by S&T Geotronics uses solid 3/8" wood taken from the actual production of Open Enigma Mark 4 or Mark 5 boxes or printers. It mixes at least 2 different woods (usually 3 or 4, sometimes as many as 6) and is sized so it can hold some Business Cards. It is also an excellent box to hold your Enigma key. 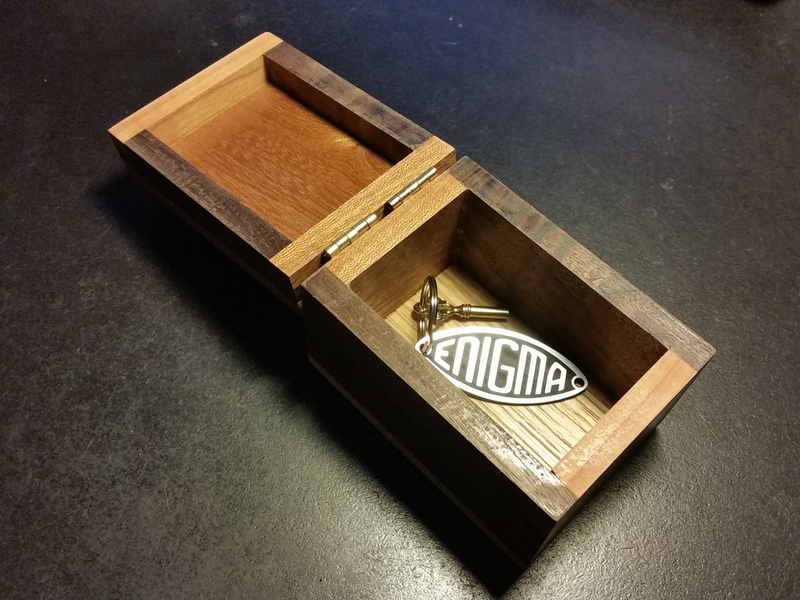 It comes with or without the Enigma Logo which can be glued, screwed or tattooed (laser etched).